I have been crazy busy the last few weeks and today was no different. After I helped get Nikki and Zach's kids to school today, I came home and started working right away. My mind was racing and I couldn't concentrate on one thing at a time so I knew that I needed to step away and regroup. What better way to do that than sew? I threw this up on the design wall Tuesday night, knowing that I wouldn't have an opportunity to work on it for at least a week. I really just wanted to see if my fabrics would play together nicely, and I think they do. 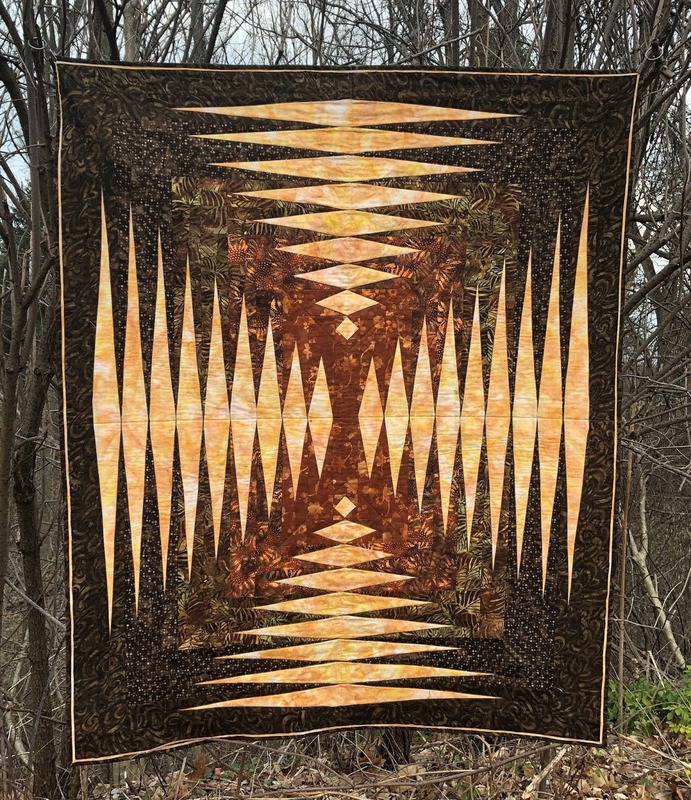 This quilt is the center of the Labyrinth Quilt by Debbie Maddy. My friend Eillen wants to use a variation of this pattern for a Quilt of Valor and I told her that I'd help adjust the pattern. On Monday, we pulled some fabric, made some changes, and decided what we needed. I wanted to review my math and sketches so I decided to use real fabric to do that. I think everything will work and I look forward to completing this quilt. I'm going to sew a couple of rows together right now and then head back to work. That should settle me down a bit and get me back on track. 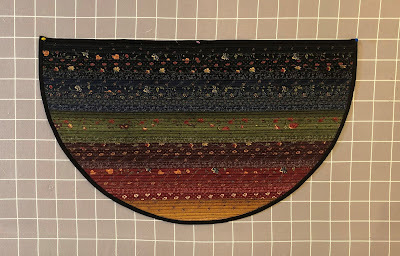 If you've read my blog over the past year, you know that I've made a lot of jelly roll rugs and taught a lot of classes. You probably remember seeing these on the blog before. I still like all of these and all the ones that I haven't posted here. 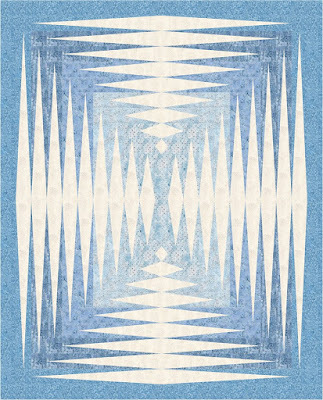 There's a new version of the rug called Slice Rug, and of course I've made one of them. 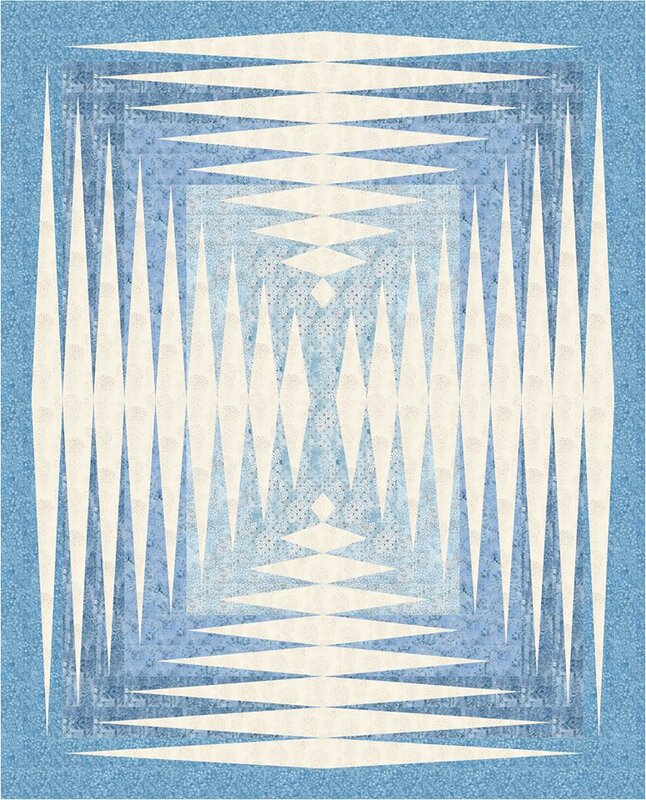 Here's the rug I made yesterday. It measures about 18" x 31" and is pretty darn quick and easy to make. I am very pleased with how it turned out and know that I'll be making more so stay tuned. 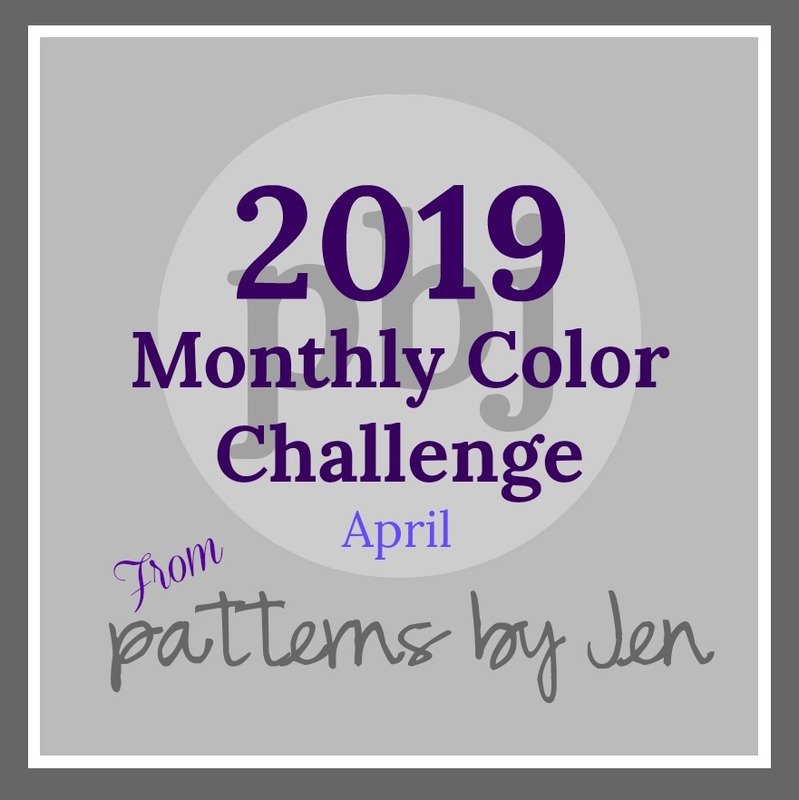 It's the beginning of the month and that means it's time for the new 2019 Monthly Color Challenge. 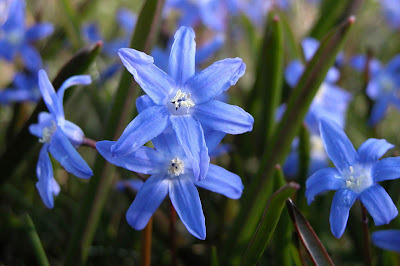 This is such a beautiful flower and having it as the April flower is absolutely perfect! According to The Flower Expert, Glory of the Snow is so-named because in some climates it blooms early enough that it pokes its little bright blue flowers right out of the snow. What a welcome beauty after a long cold and snowy winter! Not only does Glory of the Snow provide a wonderful sneak peek of the upcoming Spring when it pokes through the snow, it provides wonderful color in rock gardens, raised bed, or under shrubs and trees. I can't help but feel that the appearance of this flower each Spring is much like the making and giving of a quilt. You know that the flower will return every Spring, but you often forget just how beautiful it is until you see it. When you tell someone you're making a quilt for them, they know what a quilt is but they often have no idea of how beautiful it will be and how much love and time will have gone into its making. Even the quiltmaker is often surprised at the final beauty of a quilt; and just like the wonderful feeling of seeing those bright blue petals that signify the end of winter, handing over a quilt and watching the reaction of the recipient makes the process worth it. I am not yet sure of what I will do with this quilt when it's complete, but I know that I've enjoyed the process and hope that the recipient feels the same way. My units are sewn and ready to be assembled into a block! Remember that I'm making two blocks. I'm switching the placement of the light and dark fabrics in the second blocks. I like this block too and am really liking the Starlet fabric in this version. Check out other bloggers who made blocks this month, and be sure to come back next month to see what we create. I love being able to show off my secret sewing projects. I am really happy with how this quilt looks! Amazingly, no templates or paper piecing was used to make this. Instead, it's a technique that Tammy calls guided improv, and it's wonderful! This pattern is very well-written and easy to follow. Like most other quilt projects, labelling is the key to success here; and once you get the hang of the guided improv technique (it doesn't take long), this project goes together very quickly. 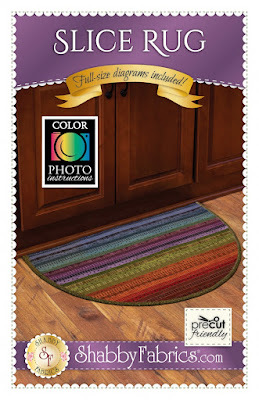 Besides well-written instructions, the pattern includes really good diagrams and charts to make peicing this a pleasure. 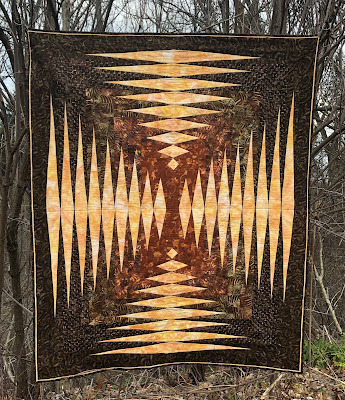 Tammy's quilt was made using her beautiful Island Batik's Icicle line, and I think it has such a wonderful soothing feel to it. You've got to check out Tammy's website to see this line used in some other quilts. They are stunning! I wasn't totally sure about the fabric gradation effect when I pulled fabrics for this, but I'm very happy with the results. Because the piecing was guided improv, I decided to do the same with the quilting. I dropped my feed dogs and used the long, sharp diamonds as my guide. I'm happy with the results. I used my left over fabrics to piece the back because I didn't want to put any of these fabrics back into my stash; plus, I didn't want to buy backing fabric. When I pulled the fabrics, I knew that I would have very little excess of the diamond fabric, but I was happy to have a piece that I could use for the center of the backing. I think the quilting looks fun on the back too! My husband has claimed this quilt and it hangs near his favorite reading spot in our "fireplace room." It's nice and cozy in the room and I love seeing the quilt on the wall. I forgot to mention that I sewed the binding on with a small flange of the yellow diamond fabric and love how that looks too. This pattern is now available on the Tamarinis website. 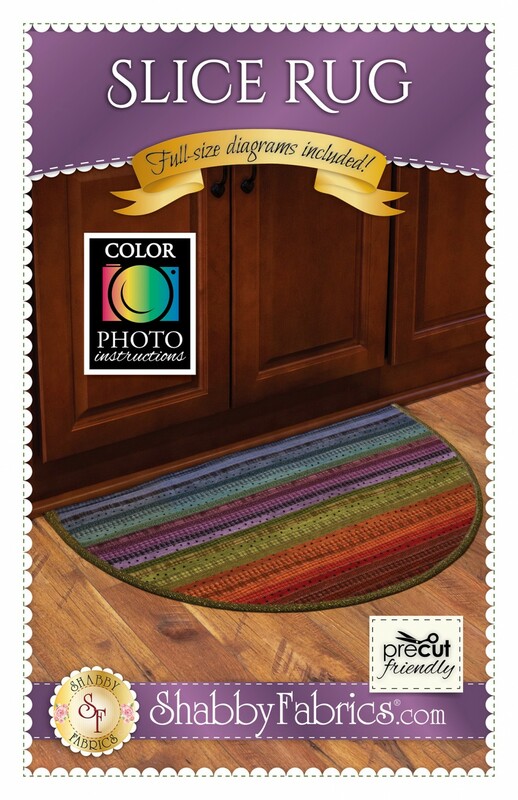 Trust me; you will love making this quilt! I have a couple of other secret sewing projects that I'll share in the next few days, so check back often. I can't believe that I only posted one time during the month of February. Yikes! 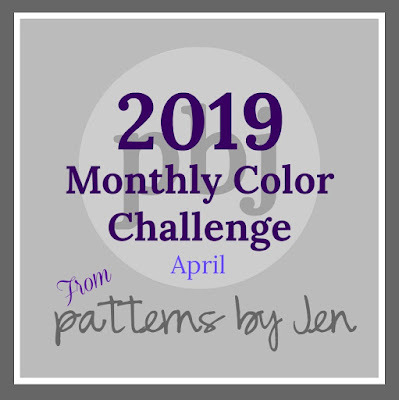 I really did do some quilting, but some I couldn't show because they were secret sewing projects, and others I just didn't post because it was a busy month with traveling, teaching, and trying to stay healthy. I'm not apologizing. I'm just stating facts. This is called Hopscotch and the pattern is by Tammy Silvers of Tamarinis. I tested the pattern for her and it should be on her site soon. This was a fun quilt to make and I really like the overall look of it. I'll provide a full review of the pattern as soon as it's ready in her shop. Plus, that gives me a little time to get this quilted and bound. The pattern call for fussy cutting a panel to get the block centers, but I used some fabric I had on hand for both the block centers and the outer border. I like the results and I used up stash, which is a win/win situation. 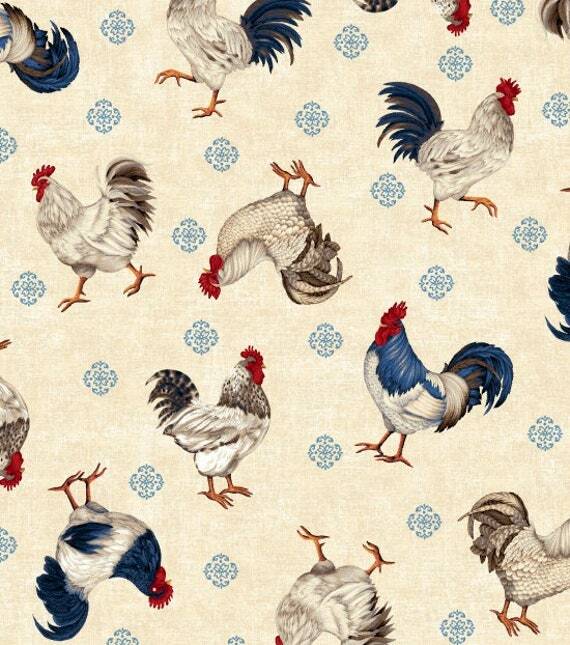 I used American Folk, by Jennifer Brinley for Studio e fabrics. I am thrilled that I was able to find some red, blue, brown, and gold fabrics in my stash to coordinate with this focus fabric. I wish I had some chicken wire fabric, but I didn't. That would have been perfect. When I get this quilted and the weather cooperates, I'll get some good pictures and provide more info on it. I've got some secret sewing projects to share in the next couple of days. Be sure to come back to check out what these fabrics became. Isn't this a beautiful flower? I guess everyone doesn't love this flower though, because it's also known as Devil in the Bush and Jack in Prison. In the language of flowers, Love in a Mist means perplexity and "you puzzle me." According to Cheralyn Darcey, author of Flowerpaedia - 1000 Flowers and their Meanings. 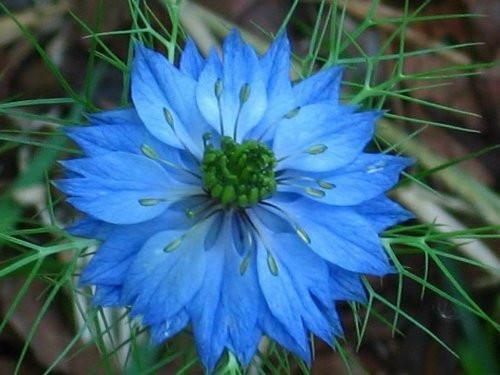 This is a flower that should be given on Friday, and that's perfect, because today is Friday. Enjoy! Here are my fabrics - a solid light blue from my stash and a fat quarter of navy Starlet from Blank Quilting. I'm ready to sew the units together! My second block - reversing the fabrics. I'm still loving the Starlet Fabric, especially in this version of the block. Check out these other bloggers who made blocks this month and be sure to come back to see what we create next month!